Our professional and experienced cleaning staff does the job right the first time, giving you confidence that your home or office and other buildings will always look their best and make a great first impression on you and your clients. Residential House Cleaning in Chicago Illinois, Chicago South Loop, Chicago West Loop, Chicago Hyde Park, Downtown Chicago, Schererville Indiana and Merrillville Indiana. 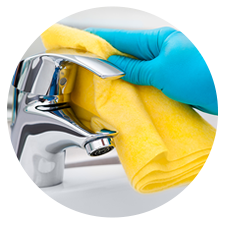 Our professional house cleaning team will work around your schedule to meet your specific cleaning needs. Commercial Cleaning in Chicago Illinois, Chicago South Loop, Chicago West Loop, Chicago Hyde Park, Downtown Chicago, Schererville Indiana and Merrillville Indiana. 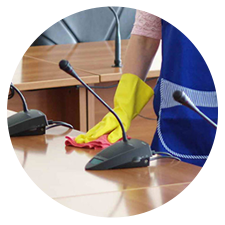 Our professional cleaning team will work around your schedule to meet your companies specific cleaning needs. Moving can be stressful, time consuming, and a whole lot of work. To top it off, you often have to clean your old home before leaving, or your new home before moving in. When it comes to move in or move out cleaning needs in the Chicago Area, we’ve got you covered. 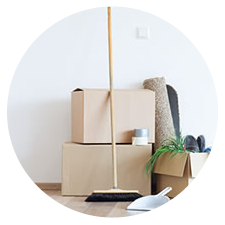 If you’re moving out of your home, our professional housekeepers can provide a cleaning that is sure to please any landlord or new tenant. If you’re moving into a new home, our housekeepers can help get the place ready before you settle in. Whether you’re moving in or out, they will give it a comprehensive cleaning that will bring every area of the home up to the same high standard, in order to ensure that your home is perfectly clean and ready to be lived in. Chicago Illinois, Chicago South Loop, Chicago West Loop, Chicago Hyde Park and Downtown Chicago deep cleaning service for your home and appliances. Cleanerville Cleaning has customizable one time deep cleaning packages to fit your budget and your needs. 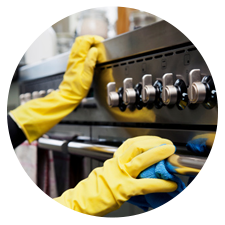 Let us give your home and appliances a deep clean fresh feeling.